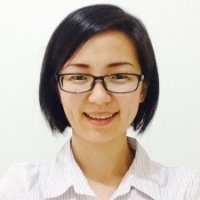 Charlene Yang is an application performance consultant at the National Energy Research Scientific Computing Center (NERSC), Lawrence Berkeley National Laboratory. As a member of the Application Performance Group, she focuses her work on performance characterization, performance tuning and performance portability. She is an active Roofline Model advocate and has given talks at/hosted various events regarding Roofline and performance tuning, for example, SC’17 tutorial ‘Performance Tuning of Scientific Codes with the Roofline Model’ and the NERSC Roofline Hack-a-thon.